It’s not a crazy idea, but rather an arrogant one to believe that aliens, creatures, other living beings do not exist in our vast Milky Way. However, what can most certainly get you labelled as ‘crazy’ is saying that aliens have visited our planet. As someone with minimal interest in aliens and the conspiracy theories surrounding it, especially the ones that claim aliens have visited our planet, I decided to watch Unacknowledged on Netflix so I could make fun of the theorists, not expecting it to low-key convince me that we’ve actually been visited by aliens. The documentary follows Steven Greer, who is a ‘noted UFO expert’. Greer is the founder of ‘The Disclosure Project’ which claims that the US government has withheld information about aliens and their visits to Earth, stating full ‘disclosure’ is needed. In entertainment value, Unacknowledged has it all. It’s a well-made documentary, a great watch and is very well focused on its subject. It strings together the most popular conspiracy theories that surround aliens and the idea of them visiting our planet. It starts with the Roswell cover-up (alleging that the US government had a live alien for five years before it died), JF Kennedy’s assassination, the death of Marilyn Monroe (yes, apparently she was killed for knowing something about aliens she shouldn’t have) and seemingly legitimate eye witness testimonies who have seen UFOs. 1. Was Monroe killed for knowing too much about aliens? American actress, model and singer Monroe died in 1962, with several conspiracy theories surrounding her death. Monroe was said to have had an affair with then US President John F Kennedy and his brother Robert Kennedy. Due to this, she had access to classified information, one of which, the documentary states, was that President Kennedy had shared information with Monroe about having seeing debris from an extraterrestrial vehicle at a ‘secret air base’. She apparently threatened to come forward with this information and was thus killed. Greer alleges that the US Congress approves budgets worth billions of dollars for ‘Black Projects’ every year. According to him, no one questions where this money goes and what it is spent on, going as far as alleging that even the US president is kept in the dark over how this money is spent. According to him, researchers have spent decades researching about aliens and their visit to our planet. These projects are vital in the cover-up about alien life. He goes on to say the cover-up exists because aliens have brought new technologies to Earth which could ruin fossil fuel industries. In 1947, a US Army Air Force balloon crashed at a ranch near Roswell in New Mexico. The US military stated that it was a weather balloon, but there exists much interest around this crash, with Greer stating it was a UFO crash. In the documentary, an expert witness, Richard Doty (a former special agent working for the US Air Force) claims to have seen bodies of dead aliens from the crash site. He said the ‘creatures’ were four-feet tall and “mangled, heavily injured and their bodies torn apart”. Greer says this incident is part of the wide US government cover-up into the existence and visit of aliens to Earth. According to Greer, alien activity has been concentrated around bases that house nuclear weapons, like the Roswell base. He goes as far as to say that the first time aliens visited Earth was when the US dropped nuclear bombs in Japan during World War II. 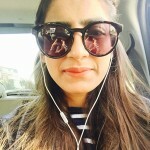 While Greer’s allegations may be met with scepticism, it is interesting to note that the documentary is not based around interviews with common people who have their own theories. It rather has testimonies from former high-level government officials and US army soldiers, including air force personnel, giving them credibility. While I don’t want to spoil too much, all of them elude to having been asked to cover-up any sightings or confrontations they saw or witnessed during their missions and flights. This gives you an idea that the documentary draws evidence and quotes from noted experts, giving the entire documentary a sense of legitimacy. I was ready to wear a tinfoil hat after watching this documentary, but it shouldn’t be taken on face value. There are many instances that are vastly exaggerated, quotes taken out of context and of course, the entire documentary centres around Greer himself who is considered a fraud and a liar. For a casual viewer, and someone who is interested in researching more into conspiracy theories about aliens, Unacknowledged can be a good starting point. I, myself, was led down a rabbit hole as I started to fact-check many of the claims that the documentary provided. Some of them easily debunked, some of them leading me further down the rabbit hole. 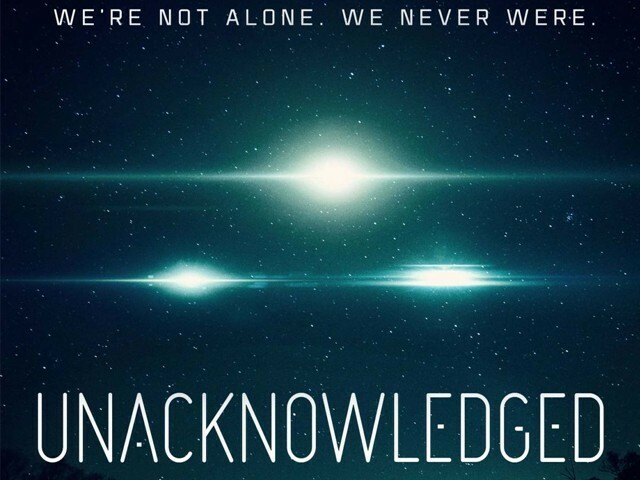 Unacknowledged is currently streaming on Netflix.